Human evolution has been in the news quite a lot recently. New genetic data suggest that ancient humans included both Neanderthals and Denisovans, which colonized different parts of the world but subsequently interbred with so-called modern humans and left telltale traces of this history in the genomes of living humans. New analysis of current genetic diversity suggests that human population size underwent interesting fluctuations throughout the history of our species, but concludes that the population never dipped below a few thousand reproducing individuals. Unsurprisingly, these findings have been discussed in the context of Christian views of human origins. In the context of some of these discussions (among Catholics, for example), I have noticed some confusion regarding the implications of common ancestry. I will illustrate the error with a stylized example, then explain why it is an error. Genetic hitchhiking is thought to be an inevitable result of strong positive selection in a population. The basic idea is that if a particular gene is strongly selected for (as opposed to selected against), then the chunk of the genome that carries that gene will become very common in the population. The result is a local loss of genetic diversity: all (or nearly all) of the individuals in the population will have that same chunk of genetic information, whereas before the selection process acted, there might have been a lot of variation in that chunk throughout the population. And this means that areas of the human genome that are less variable between people are suspected sites of recent positive selection. Within that chunk, there are potentially many genes and genetic elements that became more common in the population by virtue of their placement near the gene that was actually selected for. Those other genes are the hitchhikers. And it's likely that some hitchhikers are bad news – they're harmful mutations that would normally become rare or extinct in the population, but instead have become common by hitchhiking. In the last few years, large amounts of genetic information have become available that have enabled biologists to look for evidence of such phenomena in the human genome. Specifically, two major projects have collected genetic data for the purpose of analyzing genetic variation among humans. One project, the International HapMap Project, mapped and quantified sites in the human genome that are known to vary among humans by a single genetic letter. These sites are called single nucleotide polymorphisms, or SNPs (pronounced "snips"). The project has mapped millions of these sites in a group of 270 humans representing various lineages. Another project that has made the news recently is the 1000 Genomes Project, which also seeks to provide a picture of human genetic variation using more people (more than 1000 at present) and slightly different technology. Efforts like these have taken analysis of the human genome to a new level. No longer do we merely wonder what "the" human genome is like – we can begin to learn about how genetic differences give rise to biological differences such as susceptibility to particular diseases. The third installment of my series at BioLogos is now up. It discusses the developmental mechanisms that underlie the construction of limbs, and the striking fact that these mechanisms are the same ones used to construct fish fins. Watch for an appearance by Sonic Hedgehog. The next post will discuss recent evidence for genetic hitchhiking in humans. So, what do we mean when we say that genes can hitchhike? To make sense of this phenomenon, we first need to review chromosomes and sexual reproduction. Most people know that sexual reproduction creates offspring that are genetically distinct from both of the their parents. That's true, but the genetic scrambling that occurs is more significant than is sometimes reported. Let's start by looking at chromosomes. Like every other animal (or plant or pretty much any other organism), your genetic endowment is carried in chunks of DNA called chromosomes. You have 23 of these chunks, which are rather like volumes in a set of encyclopedias. More completely, you have 23 pairs of these volumes; one set was contributed by your mother and the other by your father. Each of your parents had a complete set, also consisting of a set from Mom and a set from Dad. When your mother made the egg that became the zygote that became you, she provided you with one copy of each volume in the set, and she chose those copies randomly. For example, she may have chosen her dad's copy of chromosome 1, but her mom's copy of chromosome 2. Just by virtue of this random picking process, she made an egg with a shuffled version of her own genetic cards. Dad did the same when he made his sperm, and so your genetic complement is an amalgamation of your parents' genomes which were amalgamations of your grandparents' genomes, and so on. The second post in my series on limb evolution is now up at the BioLogos site. This installment reviews the fossil evidence on fin-to-limb evolution, introducing the famous Tiktaalik. Next up: evidence from developmental biology. The first post at BioLogos outlined limb structure and some historical background. The series at BioLogos was spawned by an idea here at QoD, which aimed to discuss some new findings in the fins-to-limbs story. Those new findings will be discussed in the fifth installment of the series at BioLogos. Please comment! You can leave comments here or at BioLogos. Not surprisingly, Hamlet weighed in on the nature vs. nurture question, at least once. 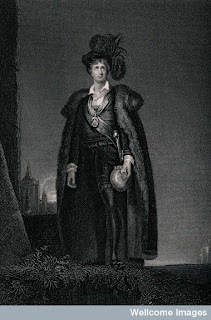 It is certainly true that "the stamp of one defect" can wreak havoc on the scale that Hamlet describes, and whether the result is a debilitating physical limitation or damage to "the pales and forts of reason," the outcome is tragic by any measure. Reflecting on the reality of inherited dysfunction, we might be tempted to assume that a "vicious mole of nature" is something seen only "in particular men," and that those who are not so characterized (let's call them "normal people") have been dealt a genetic hand that lacks such devilish cards. Normal people don't have bad genes. Okay, so in the real world I suspect that most people are not so naïve; if you're reading this blog, then you probably know that bad genes can be carried by normal, healthy people. Nevertheless, when we think about bad genes – or more technically, deleterious mutations – we are likely to think that they are not very common. Last month, I started a series on the topic of limb evolution, here at Quintessence of Dust. That series has been transformed (through a series of intermediates) into a series of posts at the BioLogos site. The first installment is now up, and it provides an expanded introduction to the topic and a little historical context. Subsequent posts will tackle fossils, developmental biology, genetics, the explanatory role of design, and related themes. So go check out the introduction, and feel free to contribute comments, questions and suggestions here. 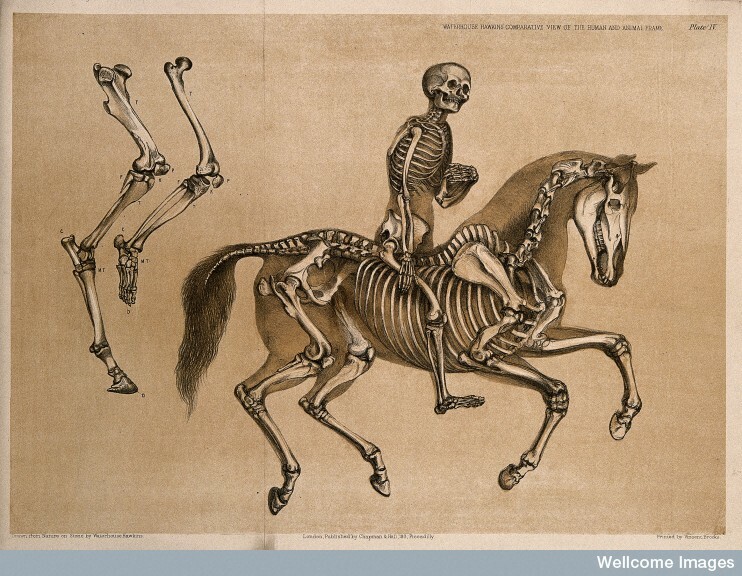 And enjoy the image below, from Wellcome Images, which is featured in the post at BioLogos. Cool, huh?